Consumers world over are seeking higher palatability in food products in addition to their nutritional value and the natural ingredients they contain. The role and functionality of flavor enhancers are analogous to those of taste enhancers. Flavor enhancers are typically tastants that add taste qualities to the food with the purpose of improving their palatability. They are essentially food ingredients that do not have flavor of their own. Rather they contribute additional properties such as those of meaty, savory, salty, and sweet to food products. Flavor enhancers such as monosodium glutamate (MSG) have been commercially used for a large variety of products across the food industry, especially in Asia and America. MSG has gathered vast steam among fast-food restaurants in the regions. Some of the broad categories of flavor enhancers are acidulants, glutamates, hydrolyzed vegetable proteins, and yeast extracts. Focus on enhancing the health benefits of chemosensory enhancements in food is key underpinning to the evolution of the global market for flavor enhancers. Changing food habits of consumers worldwide has focused on consuming food low on salt, sugar, and sodium. This has been driving the demand for flavor enhancers in food products. Flavor enhancers are increasingly used by food manufacturers to intensify odor and make it more palatable for young and elderly populations. The rising demand for diary-based processed food is also bolstering the uptake of flavor enhancers. Advances made in fermenting process to obtain flavor enhancers are also catalyzing the rapid growth in the market. The report offers detailed assessment of the various lucrative avenues of the global flavor enhancers market and presents insights into the emerging competitive dynamics. The detailed evaluations of the prospects of key segments helps new entrants and incumbent players in prudent and effective strategy formulations. In various developing and developed regions, consumers have become increasingly inclined toward healthier food products and those containing natural ingredients. The momentum has also fueled the demand for food that is low in sodium, hence propelling the popularity of sodium-reducing flavor enhancers. Several emerging companies in the food industry have taken note of this. One of the producers of premium dairy ingredients for the food industry, DairiConcepts, L.P., have in September 2018 received an award from the Institute of Food Technologists and Food Tech for its innovative offering of dairy-based ingredient to food manufacturers. The ingredient has since then gained some steam as a sodium-enhancing flavor enhancer that is made using natural fermentation process. Another aspect that is gathering steam is the adoption of clean labels for food manufacturers. Constant advancements in food technology will open new avenues in the global flavor enhancers market. The advent of natural flavor enhancers is likely to create substantial lucrative avenues, especially in still emerging markets in various parts of the globe. 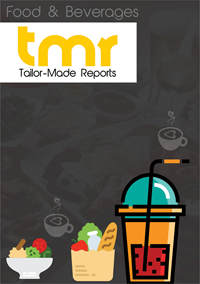 The report on the global flavor enhancers market takes a critical look at the prominent regional dynamics and the trends bolstering the revenue generating potential of key markets. On the regional front, developed regions such as North America and Europe may hold substantial potential throughout the forecast period. The growth in these regional markets is attributed increasingly to recent advances in various chemical synthesis. Meanwhile, developing regions such as Asia Pacific are expected to rise at increasingly promising pace in the global flavor enhancers market. Several players in the global flavor enhancers market are focusing on developing healthier ingredients to meet the wide diversity of demand for a large cross-section of end consumers, world over. Emerging players seeking higher stakes in the market are bringing new modifications in flavor enhancers with better functionality. Some of the key companies aiming at prominent positions in the global flavor enhancers market are Synergy Flavors, Firmenich SA, International Flavors & Fragrances Inc., Sensient Technologies Corporation, Corbion N.V., and Associated British Foods plc.